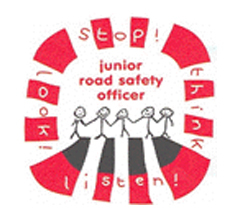 The Junior Road Safety Officer (JRSO) scheme has been running successfully in Bucks since 2003. There are currently over 270 JRSOs, from almost 90 Primary Schools. They are children from your school who promote road safety and sustainable transport to their fellow pupils and have fun whilst they are doing it! Usually 2 children from year 5 and/or 6 are nominated and appointed as JRSOs. This can be through an application and interview process, or simply names drawn out of a hat. They can be part of a Student Council or be a separate group. They read monthly bulletins, give talks in assemblies, run competitions, have a Noticeboard to display posters and information and support the schools STP working group. The school will be given a ‘Kids Pack’ of information and ideas to help their JRSOs in their role. There is a JRSO website that has lots of ideas and links to other useful websites and information. They can help to tackle parking and congestion problems, and get involved in Walk to School Week activities. What are the benefits of JRSO? It is an excellent way to engage with pupils and encourage them to be involved in their school and the local community. It enables them to participate in the development and maintenance of an active and successful school travel plan. The school appoints a ‘Helper’ to offer advice and support to the JRSOs – ensuring they have the opportunity to read their Bulletins and that they meet regularly to discuss promotional events and activities. If you are not already participating but would like to be involved in the JRSO initiative, please complete and return the ‘JRSO & Helper Registration Form’.